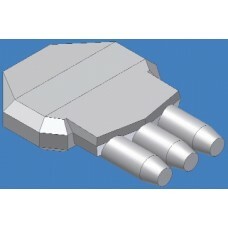 For those folks who like to kit-bash and customize their fleets there are three main “bodies” and several sizes of “wings” used to make these ships. 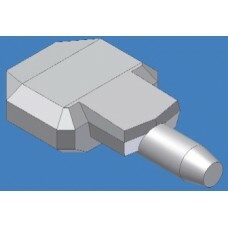 Rob designed all of them with the basic one, so I created a Heavy version with a larger engine and longer length, as well as a Carrier body that is based upon that larger body. 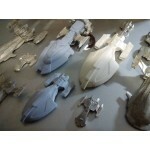 The weapons for these will also be compatible with my Auran Dominate fleet as well. 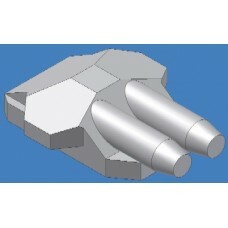 The top wings are interchangeable with all three of them (as well as the guns.) 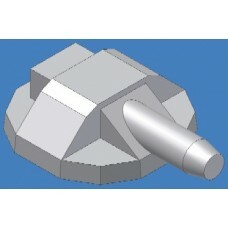 So you could take the Heavy body with the Destroyer wings and lighter guns, or the standard body with the Dreadnought wings, and every emplacement filled. 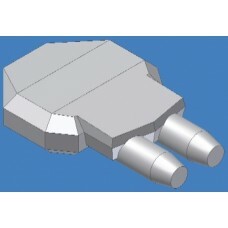 I have some basic ship configurations with weapons available, but here are of the basic parts. 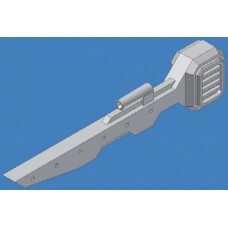 These 6 each sprue double missile guns are meant to attack Capital ships, and are compatible with al.. 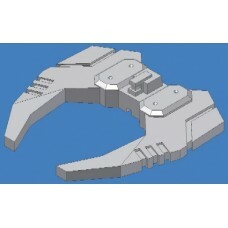 These 6 each sprue Double Plasma guns are meant to attack Capital ships, and are compatible with all.. 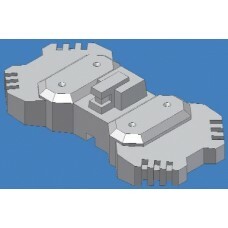 These 6 each sprue Double Turrets are meant to help ward off more small craft, and are compatible wi.. 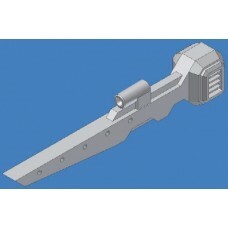 These 6 each sprue single missile guns are meant to attack Capital ships, and are compatible with al.. 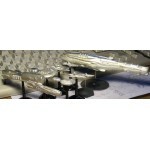 These 6 each Torpedo launchers are meant to attack Capital ships, and are compatible with all Cap sh.. 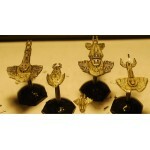 These 6 each sprue Single Turrets are meant to help ward off small craft, and are compatible with al.. 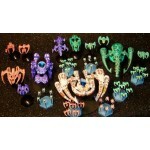 These 6 each sprue Small Plasma guns are meant to attack smaller Capital ships, and are compatible w.. 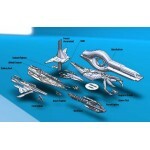 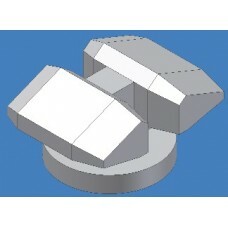 These 6 each sprue Triple Turrets are meant to help ward off multiple small craft, and are compatibl.. 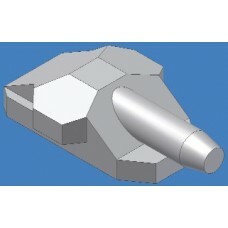 This is the Battle-cruiser sized top wing for the Cap ships, and is compatible with all of the bodie.. 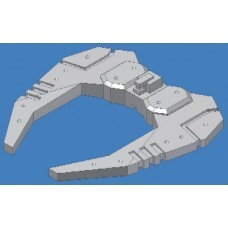 This is the Battleship sized top wing for the Cap ships, and is compatible with all of the bodies an.. 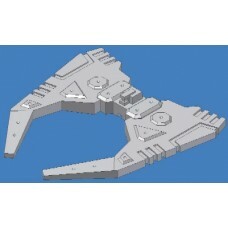 This is the basic sized body for the Cap ships, and is compatible with all of the top wings and guns.. 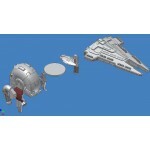 This is the Cruiser sized top wing for the Cap ships, and is compatible with all of the bodies and g.. 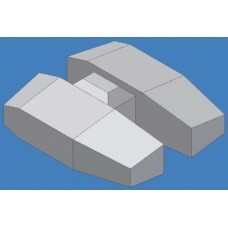 This is the Destroyer sized top wing for the Cap ships, and is compatible with all of the bodies and.. 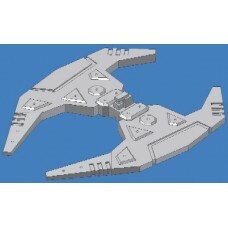 This is the Dreadnought sized top wing for the Cap ships, and is compatible with all of the bodies a..